Last weekend was crazy busy, but crazy fun. The weather was PERFECT (after snowing the weekend before! ), so we were all ready to spend some time outside having fun in the sun. 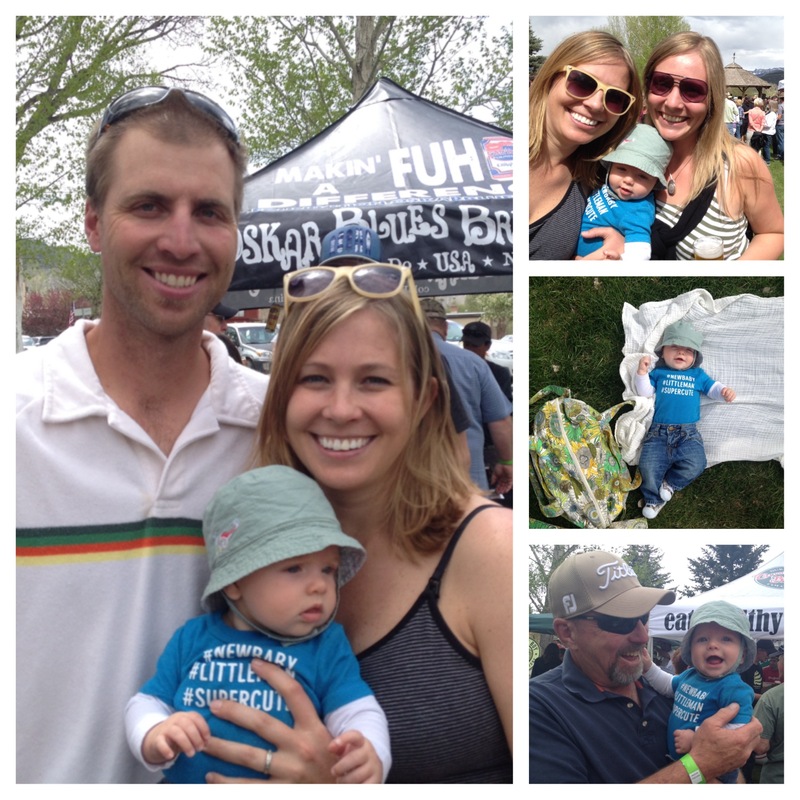 On Saturday, Stella got to spend the day with her Nana, and Charlie, myself, Harvey, and Papa went to the annual brewfest here in town. SO much fun! On Sunday, I went out on my friend’s new boat with the kids (Charlie was home nursing a hangover). It was an adventure to be sure trying to handle both kids and all our stuff by myself on a boat, especially when Stella got diarrhea on the boat in the middle of the ice cold reservoir. NOT FUN. Dunk & swish in REALLY ice cold snow melt water. Poop all over my hands. GAG. Ack, I love Harvey’s hat collection. 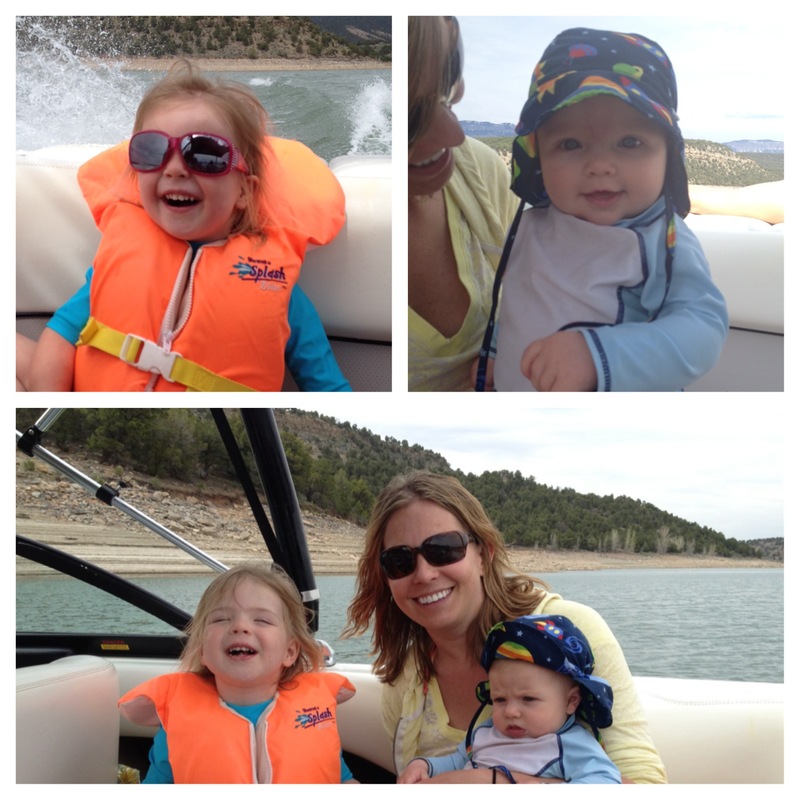 Two kids on a boat + an intestinal issue + solo parenting? Respect. We might be boating this weekend. I am scared on how Ava is going to do being on a boat all day. How did Stella and Harvey handle it? I am also nervous about being nauseous on the boat all day. This pregnancy has been a doozy. Um…honestly, it was okay, but we were only out there for about 2.5 hrs, and I had a lot of snacks with. Being stuck on a boat with a toddler just isn’t relaxing and fun IMO! Good luck with the nausea – no way would I have stepped foot on a boat when I was that sick! I hope you’re able to focus on the sun and water and just have fun though!